The Square Deco Address Stamp design features an "art deco" style square border surrounding your name and address. 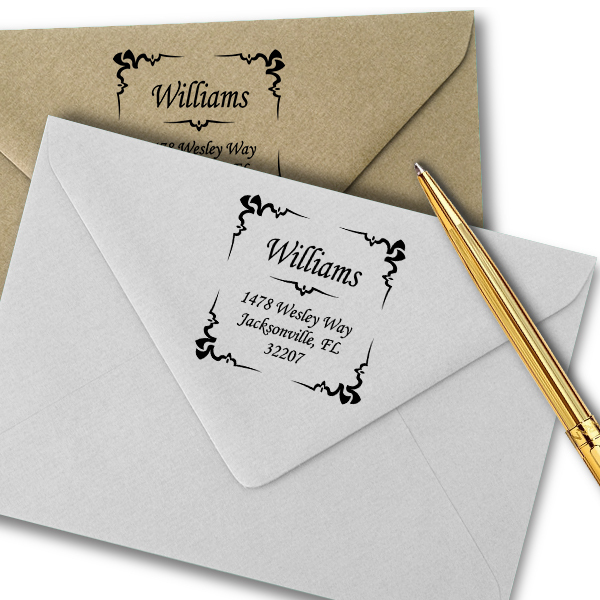 Since we deal with ink on a daily basis, this stamp reminds us of the style flowing from a fountain ink pen. When combined with the right font (chosen below) this stamp has a very "hand written" feel to it. It's easy to see why this is one of our most popular square address stamps. Standard size is 1.625" but other sizes are available! To order yours, fill in the boxes provided with your name and address. Then select the color, style, size and font you would like, update your quantity, and click "Add To Cart." All of our return address stamps are made in the USA. 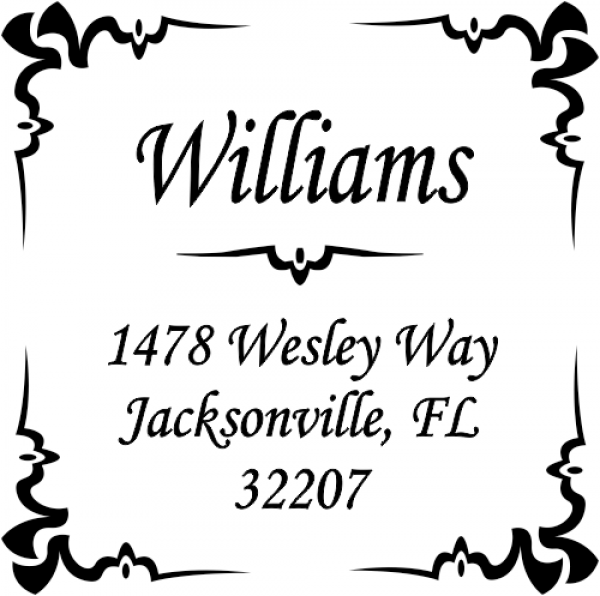 Square Deco Address Stamp Details Choose a quicker way to sending out all those cards during the year with one of our custom self inking address stamps! Address labels are tacky and split quite easily, making their effectiveness more of a drawback than anything. 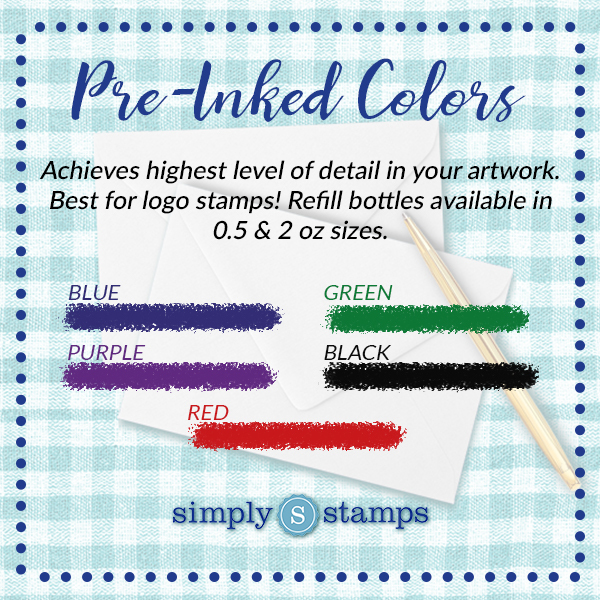 Express it using stamps instead, and get through your day-to-day task list in a portion of the time. 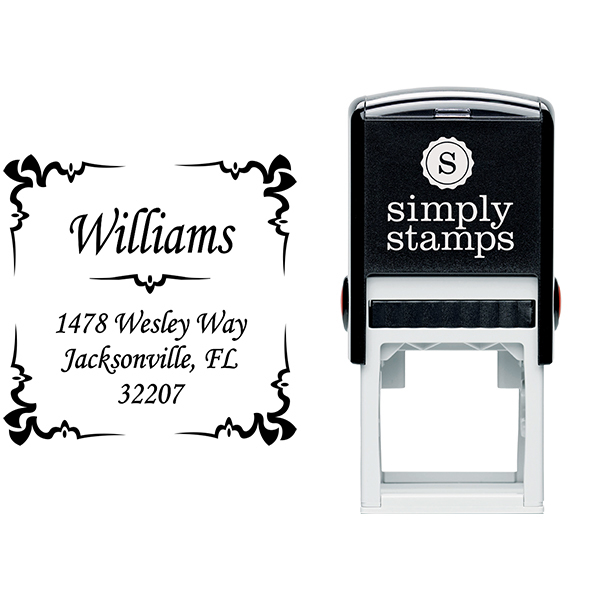 Undoubtedly, this Square Deco Address Stamp will help out through the holidays! 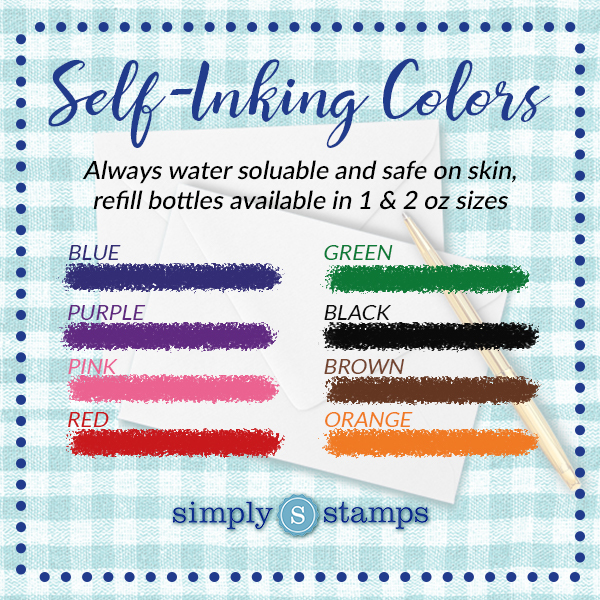 Made with only top of the line materials, this useful self inking stamp will keep going for years to come! Get yours now!